Check out these amazing 2017 new releases! You can read my reviews by clicking on the links under the book covers! Synopsis (from Goodreads): June’s deadly secret is she’s a clone, and if she tells anyone her father’s involvement, he’ll face the death penalty. After his suspicious disappearance, the police have failed to find him. During her frantic search, she’s surprised by an AWOL military man who insists her father's the key to finding his brother. Bullet's fly as they uncover more about the horrific experiments. Can June trust someone with her secret... and her heart? 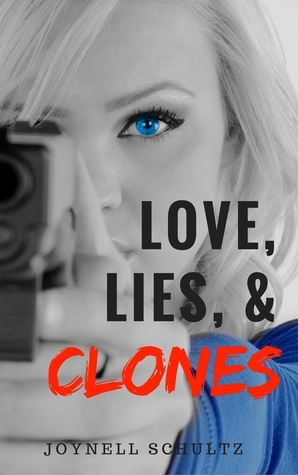 Love, Lies & Clones had me from the first chapter. It's one of those books that has you intrigued and desperate to know more about what's going on. As the book progresses, more and more of the truth comes to light, but what I particularly liked was that there were more mysteries added as the story progressed, and sometimes even the answers to one of the earlier questions raised more questions in itself. The genre is actually quite hard to define. It's set in the near future, and there were significant scientific advancements in the field of cloning. The world was half recognisable and half futuristic, and I thought the blend worked really well. More than that though, I liked that the cloning itself, a major plot point, was more than just something scientific, the morals came into it as well. June was a strong lead character, determined to discover the truth, and find her father, but she also had a vulnerability that was needed in the role. I liked that she didn't quite have it all together because that made her more real...I know in her situation I would be just as useless! The male lead, Elliot, also had some complexities that made him more realistic, including some strange almost stalkerish tendencies. At first, I wasn't too sure what to make of him, but as his own motivations became clear, he became more rounded, and much more likable. The interactions between Elliot and June were believable, with both of them interacting with a level of wariness. I absolutely loved the fact that June didn't just trust Elliot from the off, and made him work for it, it added something else to their story line. If you like suspense, with some science and a light love story, then I'd definitely recommend this one! Synopsis (from Goodreads): No escape. Those words haunt Scar's dreams. She thinks the creature that terrorises her while asleep isn't real, but when she's abducted and taken to a reform school meant to contain creatures too dangerous to function in society, she starts to wonder whether she isn't some monster. 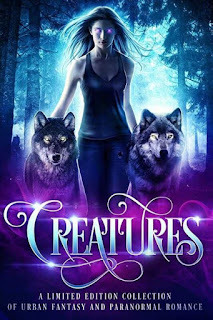 She turns to an underground fight club full of vampires, werewolves and witches established by the students to control her urges, and who is she kidding, she loves to fight. When fighters begin to disappear, turning Scar into the prime suspect, she must race to prove her innocence before her true nature is exposed. The only problem is that she's not entirely sure she's innocent. What I couldn't work out all the time is if I was supposed to like Scar or not. In some ways she was a little too innocent for the life she was forced to leave, in others she seemed to lack a little bit of emotion about it. All in all this was a good read though, had me keeping turning the pages! Synopsis (from Goodreads): Two fractured hearts and a forbidden love they can’t deny. You shouldn’t want what you can’t have…Faye Donovan has lost everything. After her parent’s tragic death, she’s whisked away from her home in Ireland when an unknown uncle surfaces as her new guardian. Dropped smack-dab into the All-American dream, Faye should feel grateful. Except living with her wealthy uncle, his fashion-empire-owning wife, and their seven screwed-up sons is quickly turning into a nightmare—especially when certain inappropriate feelings arise. Kyler Kennedy makes her head hurt and her heart race, but he’s her cousin. He’s off limits. 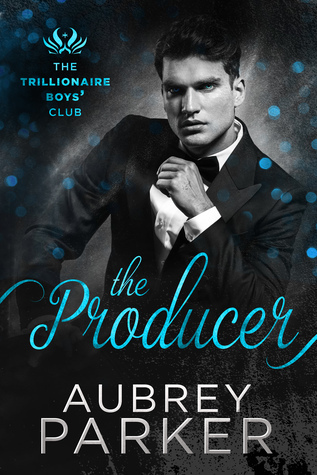 And he’s not exactly welcoming—Kyler is ignorant, moody, and downright cruel at times—but Faye sees behind the mask he wears, recognizing a kindred spirit. Kyler has sworn off girls, yet Faye gets under his skin. The more he pushes her away, the more he’s drawn to her, but acting on those feelings risks a crap-ton of prejudice, and any whiff of scandal could damage the precious Kennedy brand. Concealing their feelings seems like the only choice.But when everyone has something to hide, a secret is a very dangerous thing. My immediate thoughts on finishing this book was that I desperately need more! I need to know what happens next. I read a series last month that was super addictive but a little bit wrong because of the relationship between the characters. Despite that I just couldn't put the series down. Well this book was the same (and I suspect the next two will be as well!) I didn't want to finish it, but at the same time couldn't put it down. The chemistry between Kyler and Faye was definitely there, even when he was being particularly broody and refusing to have anything to do with her. Kyler also had a few moments where he was really sweet and I bought into the two of them most at those points. I loved that Faye didn't just settle in to her new home automatically. She had challenges, and had to make new friends. Equally, her entire life didn't revolve around a guy, and that made it far more believable to me! One thing worth pointing out is that Davis included a "translation guide" at the end for the Irish turns of phrase...but I honestly didn't notice them much in the book itself (partly because I was too engrossed, and partly because as a Brit, I use several of them in my daily life). I thought this was a good touch. There was plenty of drama, scandal and excitement in Finding Kyler, and I can't wait for more in the series!